Whether small or big, a start-up or an established multinational organisation, all businesses today require comprehensive end to end accounting services. A dynamic accounting landscape, the onset of IFRS and other global standards have made it essential for every business to record its financial transactions accurately. In addition to merely maintaining accounts, businesses today are required to undertake several other activities such as compliance (filing tax returns, social security returns etc. ), controlling its payables and receivables, performing various reconciliations, accruals etc. 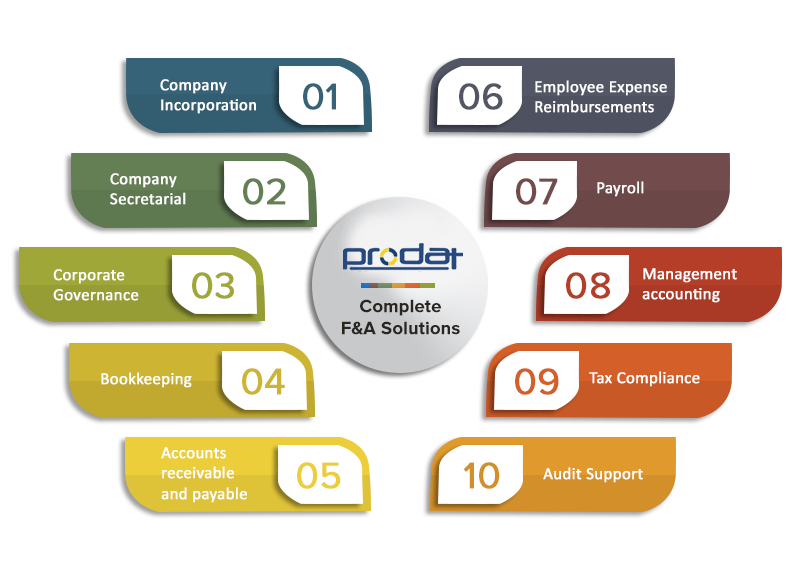 In this backdrop, it becomes necessary to avail specialised services of Prodat. Our team of expert professionals manage your accounting and compliance requirements with minimal supervision allowing you and your team to concentrate on core business activities. with Prodat, don’t worry about deadlines anymore!